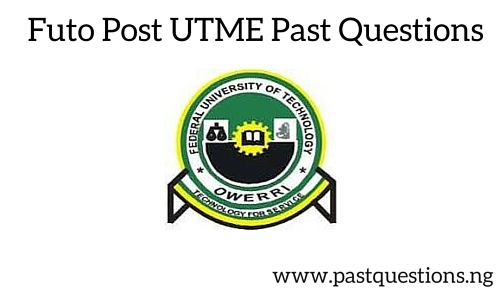 The Post UTME Past Questions for FUTO – the Federal University of Technology, Owerri has now been added to our list. Follow instruction below to get your copy. Random text from the FUTO Post UTME Past Exams is displayed in pdf below.